BACK STORY: Lori Renee started her career in home care as a caregiver before moving into the operations side of the business. 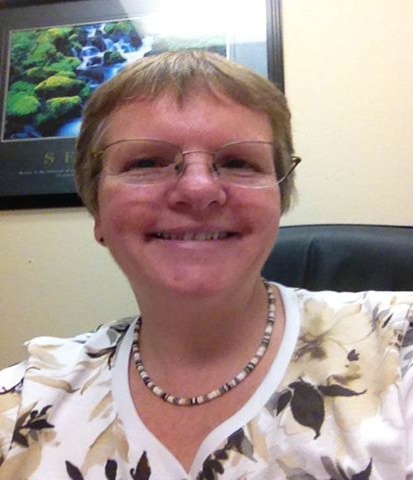 She currently handles the bookkeeping, accounting and payroll for Home Instead Senior Care of Bakersfield, California. She was introduced to ClearCare through Home Instead Corporate and “got hooked” on the many benefits of the ClearCare platform. The way ClearCare helps facilitate caregiver interaction and the ability to communicate with caregivers on the fly was a huge draw. The agency's clients and families also love the Family Room, because it gives family members transparency and the opportunity to feel more involved in the care of their loved ones. The intuitiveness of ClearCare’s platform ultimately won Lori over. “Everything about using the ClearCare platform is easier than our previous software”. Lori and her fellow team members love working with ClearCare. It has helped the agency function at its highest level of efficiency with 25 caregivers and only 3 office staff members. The agency had been using the same insurance company since before Lori started working there. In 2015, their previous workers’ comp insurance company called and told her that their rate was increasing to nearly double what they were previously paying. Lori was frustrated that their insurance company didn’t make an effort to work with her to get a better rate and decided to look at alternatives with a different provider. Additionally, safety was an ongoing concern for Lori. The agency's caregiver staff receives thorough training on safety procedures during orientation, but they wanted more standardization and ongoing training, as well as a better way to document whether caregivers are up to date on certifications and safety protocols. The agency chose ClearCare’s WorkSafe integrated safety program. “It sold itself. Everything is all in one place and easily accessible and works with all the other ClearCare platform tools we’re already using”. Additionally, The ClearCare Insurance team worked closely with Lori to get the agency the best rate possible. Lori knew they were was in good hands “I was already familiar with ClearCare. I trust them. And their customer service is always great”. ClearCare Insurance helped Lori’s agency save $21,600 a year on her workers’ comp, freeing up those funds to help grow the business.